Please use this page to submit your minimum or full payments to process your custom rock order. Please do not use this page unless you've been instructed to submit a payment and given an amount to pay which may include tax and shipping if applicable. Your rock will need picked up in Columbus unless you've arranged for shipping. 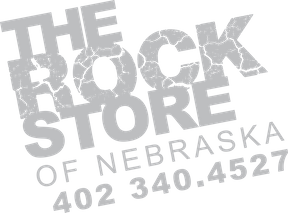 Minimum payments and graphic design charges for custom rock orders are nonrefundable once order is placed and full amount is nonrefundable once rock is picked up. Please verify that your proof does not contain any errors before submitting payment. Check spelling and punctuation! Your proof is exactly how the finished product will look. Lastly, thank you for coming online to submit your payment to us! Click the "Pay Now" button below to proceed. In the amount box, please enter the amount you were instructed to pay and click submit. You will then be taken to our secure credit card processor's website to enter your card information. Thank you for your business!! Please make either the minimum or full payment listed below for the size you're purchasing.